It was time to make the change from e-bike to bicycle. 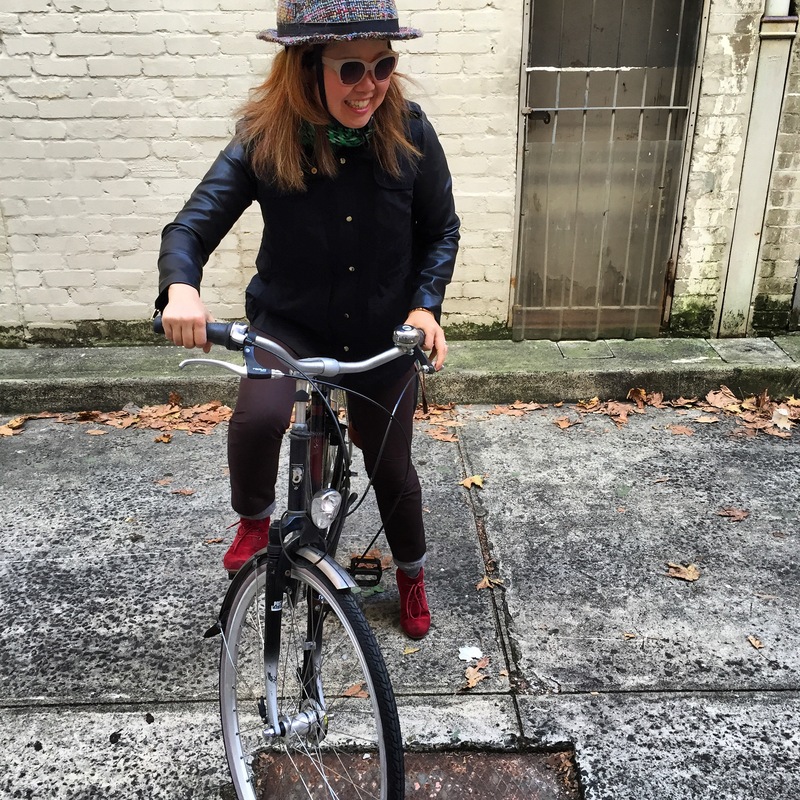 With autumn nearly over and winter on our doorstep here in Sydney, I have been shivering home on the e-bike. The motor replaces much of the effort that I would make on a bicycle. While it’s fine for the summer, I decided that it was time to ride “pure” on my bicycle. Of course, this meant that my nine-year-old Giant Elwood would need a service at Omafiets in Redfern. Julius came with me. It was Friday. We dressed warmly because of the cold. 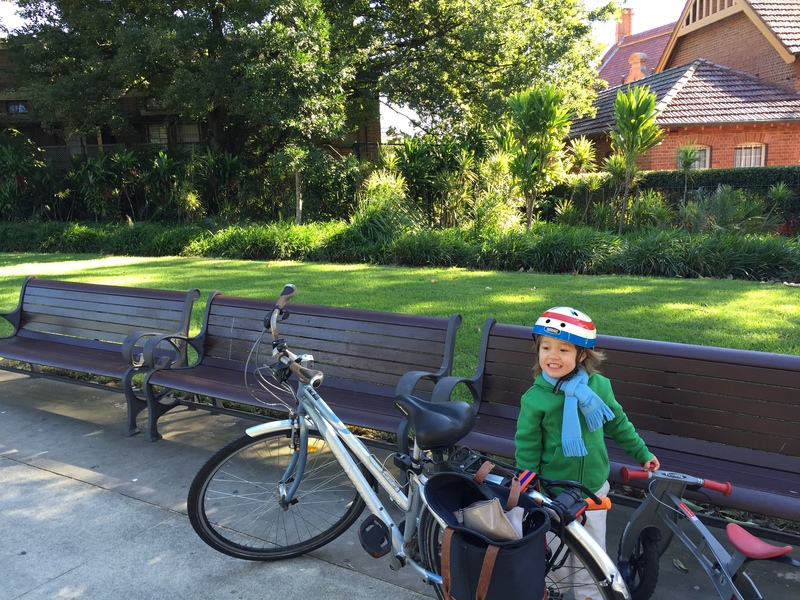 Going to Omafiets is wonderful because we always go through Prince Alfred Park. It was refurbished a few years ago and now it’s a fantastic green space with, pool, playgrounds, tennis, basketball courts and cafe. My husband Justin pumped the bicycle tyres up for me before he left for work. A little later, Julius and I were were riding together. We stayed on the footpath. There were a few streets that we would have to cross but I was confident in Julius. He turned four a few weeks ago and Justin took him to Centennial Park recently. I was so impressed that he rode the entire five kilometres home on his balance bike. As requested, a water break. We crossed at the busy intersection of Foveaux, Elizabeth and Chalmers Streets and then we were on our way to Prince Alfred Park. I could tell that the bicycle needed a service. One of the brakes was very loose and the gear shift was a noisy “ka-chunk.” But it was a familiar and comfortable ride with the Ergon pedals cradling my red wedge booties and cork Ergon grips ensuring my hands were in the correct position. We stopped for some water at the entrance of the park. It was getting warmer in the autumn sun but it was still chilly. 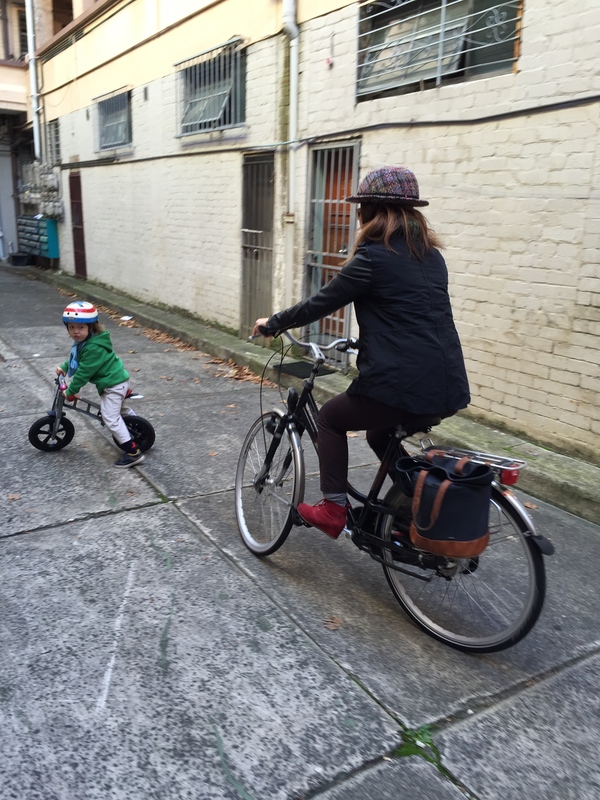 We crossed Cleveland Street safely and took the George Street Cycleway directly to Omafiets. I ran through the problems with Chris who gave me a quick diagnosis and quote. I agreed to the work and the Giant was quickly wheeled away. I did note that the cost to fix the bicycle now was a bit less than the purchase price of the bicycle in 2008. I asked if I could try a bicycle while mine was in the shop being repaired. A Batavus Staccato was in stock and was the correct size for me. I took it for a test ride in the alleyway of the shop. It felt smooth like butter and very solid. “Interesting,” I thought. I tried not to run Julius over in the meantime. Maneuvering and negotiating the space with Julius. He was excited for me and was not looking where he was going. “Are you getting a new bicycle, Oma?” (“Oma” is “mummy” in Korean while “Omafiets” means Granny bicycle in Dutch. My kids had a good laugh at this one awhile ago.). “I’m just trying a new one for a little while.” I said. I thought it would do. So much fun trying a new bicycle! Julius and I rode home together. Little did I know what I was in for on Monday when I rode it into the city for work. 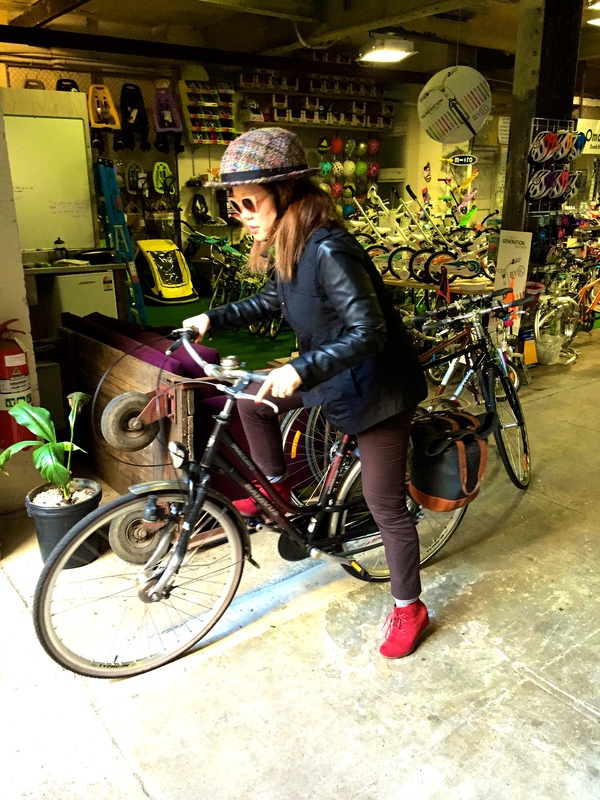 Today’s ensemble: Yakkay helmet, Witchery sunglasses, J.Crew scarf, Zara jacket and trousers, J.Crew sweatshirt, Geox booties, Linus Eleanor bag, Giant Elwood hybrid bicycle, Batavus Staccato. 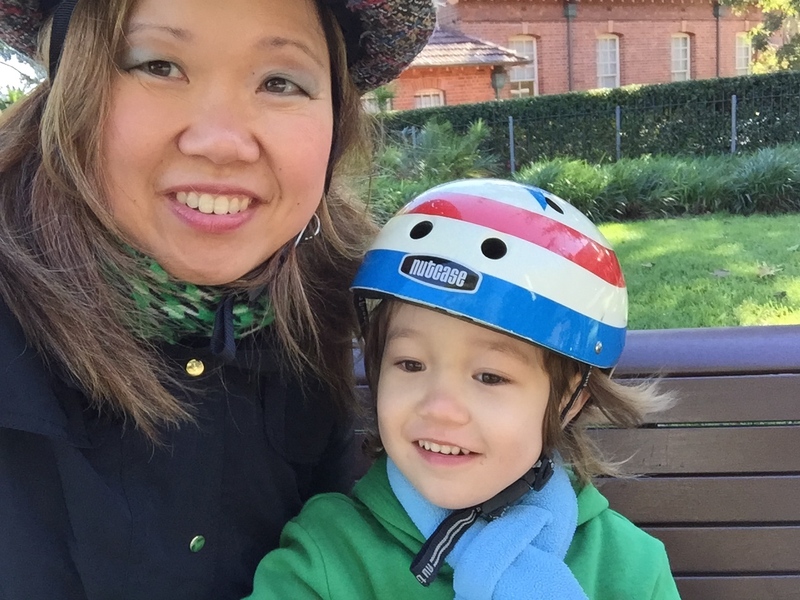 On Julius: Nutcase helmet, Zara t-shirt, Kathmandu scarf, H&M hoodie, BabyGap trousers, Clarks sneakers, First Bike CX version. 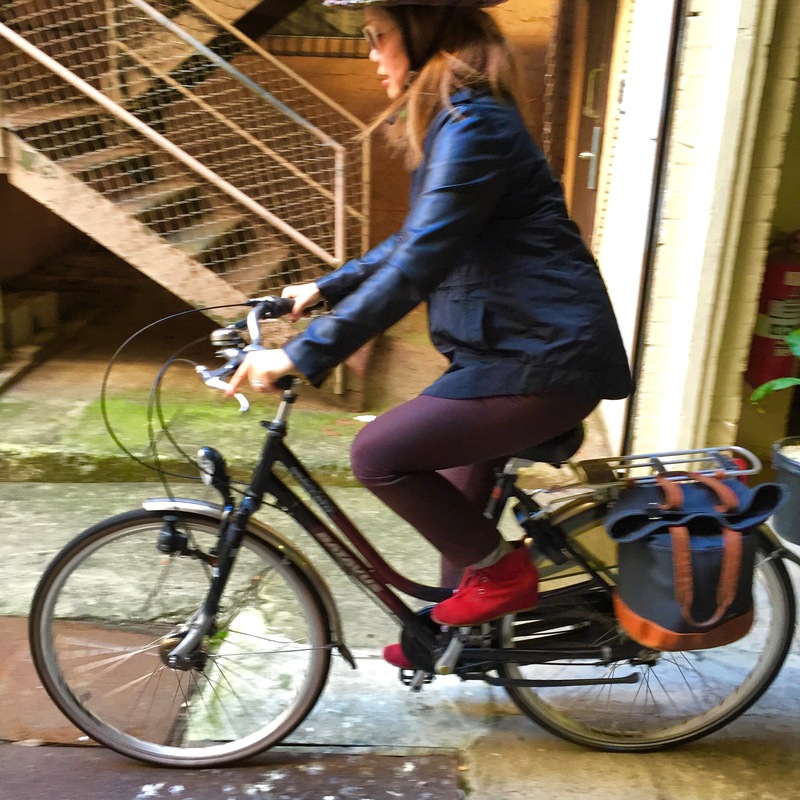 I ride a Batavus Crescendo – it heavy, but otherwise a great bike! Great effort on the Batavus!